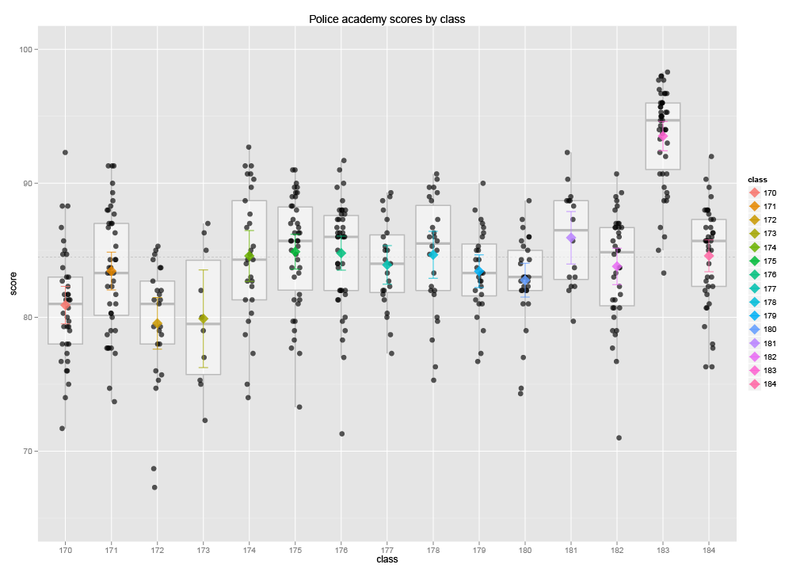 Tonight KOB-TV4 aired the NM Law Enforcement Academy “Police cadet test scores under investigation” story on the Eyewitness News 4 at 10 P.M., for which I gave a short interview to Gadi Schwartz using a plot I created from the test score data. I gave the information and interview out of a personal desire to be helpful and was not acting on the University’s behalf. I did not speculate on the cause for the outlying class’s scores. I value the men and women who risk their lives daily serving our communities.